Autumn is upon us, and the leaves on the trees are beginning to change colour and fall. But that doesn’t mean that there’s nothing to forage. In fact autumn is a great time of year for foraging, as it’s when the nuts and berries on hedgerows and in woods begin to ripen. Just remember to always forage responsibly by following the responsible foraging guidelines. From the end of September and well into October, keep an eye out for Beech nuts. They often grow in pears, are three-sided and are found in bristly cases. Although they are quite small and cannot really be collected substantially, they provide a nice tasty nibble on a crisp autumn walk. To forage beech nuts, scrape off the brown outer skin which will reveal the triangular-shaped seed. Eat as they are, or if you manage to get hold of a decent quantity, they can be used just as you would use pine nuts. For example, sprinkle them on salads or include them in Autumn soups. You can also roast them by putting them in the oven while still in their shells and rub between two tea towels to remove the shells once roasted. Beech nuts do contain a large amount of tannins and alkaloids so it’s important not to eat them in large quantities, and to keep them well away from pets. Towards the end of October and until the middle of November you will also find bullace fruits in plentiful supply – if you manage to get to them before the birds do! Bullace fruits are small, oval shaped fruits. They vary in colour but are most often blue, purple or black. If you pick one and it tastes acidic then it’s probably not quite ripe yet.On a good year, such as this year, bullace fruits will be plentiful enough to weigh down a hedgerow. 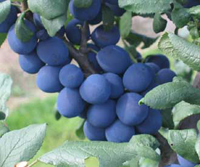 A bullace is a wild variety of plum, very similar to a damson. 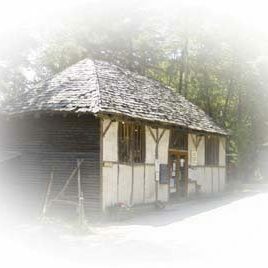 They can be used in crumbles, jams, preserves as well as fruit wine and fruit liqueurs such as sloe gin. 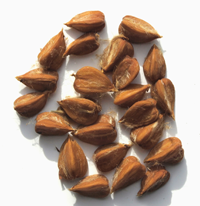 Hazelnuts, otherwise known as cobnuts are actually vailable from late August and throughout September, but it’s towards the end of September when they begin to ripen. You can collect hazelnuts while they are still young and green, but most of them will be ripe at the end of September and into October, if the weather has been suitable. 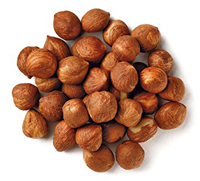 Again, hazelnuts provide a great natural thing to munch on while you are walking, or if you collect enough of them you can roast them at home or make hazelnut butter. Rosehips are more often found in hedgerows, and are red and orange seed pods. The outer layer of the rosehip seed is packed with vitamin C and for this reason they are known for fending off winter colds. 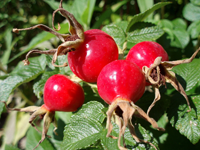 They can also be used in wines, jellies, jams and can even be used to make rosehip flavoured syrup which can be used as a cordial or for putting on ice cream and pancakes. Rosehip will usually be available to forage from September right the way through until November. Pick them close to the base of the pod to avoid the thorns underneath. Blackthorn are best foraged after the first frost. Blackthorn offers a crop of tart, acidic fruits called sloes which are used to make sloe gin, a deep red drink often drunk in winter. The frost is thought to soften the skins, which is why it’s best to pick after the first frost. If you prefer, you can pick them earlier and freeze them at home yourself. 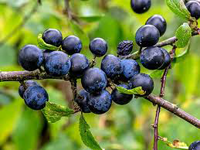 You can either make sloe gin with the berries, or use them in whisky, jams or vinegar. Sloes can be picked from September right the way through until December. Some years, blackthorn trees along hedgerows can be every abundant in these fruits. Sweet chestnuts are a favourite around this time of year, and are a Christmas staple. Sweet chestnuts can be baked, roasted, boiled or even microwaved. Score across the top of them with a knife to prevent them from exploding when they are cooked. Once they have been cooked and peeled they can either be eaten as they are or you can use them in desserts and stuffings. 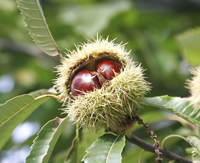 The best sweet chestnut crop will be found at the foot of large, established trees. The trees begin to drop nuts from October and through to late autumn and early winter. Walnuts are also a great treat for this time of year. Walnut trees can often be found throughout the UK in large gardens and parks. The nuts are covered in a green, fleshy husk that begins to split as the nut inside ripens. Just crack open the shells to get to the nut. 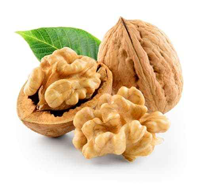 You can eat walnuts raw when they feel slightly wet. You can also dry them or pickle them, when they can be stored for about 12 months. You can also add them to either sweet or savoury dishes. So there you have it, Autumn offers an abundance of fruits and nuts that even the foraging beginner will be able to recognise and forage. Most of the fruits and nuts mentioned can be found throughout the season, which means you’re sure to find some of them if you spend some time in the woods over the next few months.